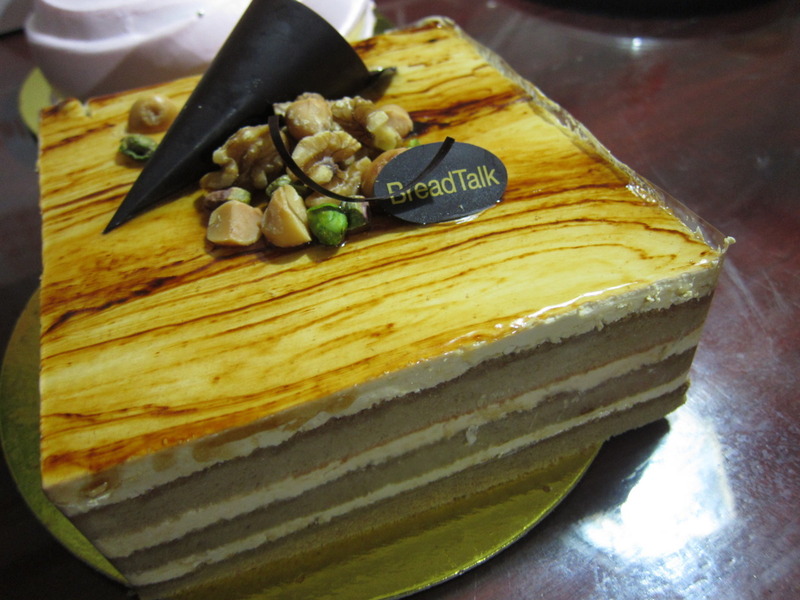 The Ice Eater: What's your Breadtalk Cake Flavor? A cousin of mine bought three cakes, for the three moms in our family. But it's us who tried. I mean us, kids. Yes I'm already 18 and still calling myself a kid. Anyway, the first one that tempted me is the chocolate one. I'm so sorry, I forgot the names. I expected a moist chocolate cake inside but actually, it consisted of layers of coconut and chocolate icing in between. The icing, I loved. But I'm not really a fan of coconut so I didn't enjoy it as much as some of my cousins did. But if it were wafer or moist cake instead, I would have liked it more. This one, I couldn't stop eating! The layers of mocha icing between those layers of chiffon cake were a treat! The sweetness wasn't overpowering unlike other cakes, it was just right. This cake is for those who gets overwhelmed by food who are just sweet and nothing else. The sweetness of this cake was balanced by the blueberry flavor you'll taste in every single bite. I actually loved the icing so much that I wanted to scrape it off, put it in a bowl and eat it all by myself. But no, I actually stopped myself from committing that very sweet crime. For the price, I wouldn't mind buying one again for myself the next time I crave for them. 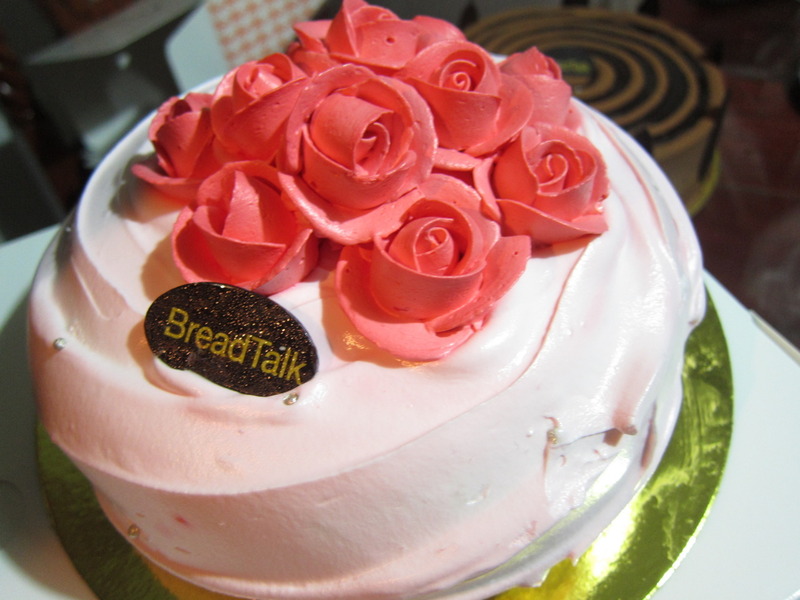 But I don't think they're that better than Red Ribbon which sells cakes a little cheaper than Bread Talk. But it was still a nice experience to try their different flavors. 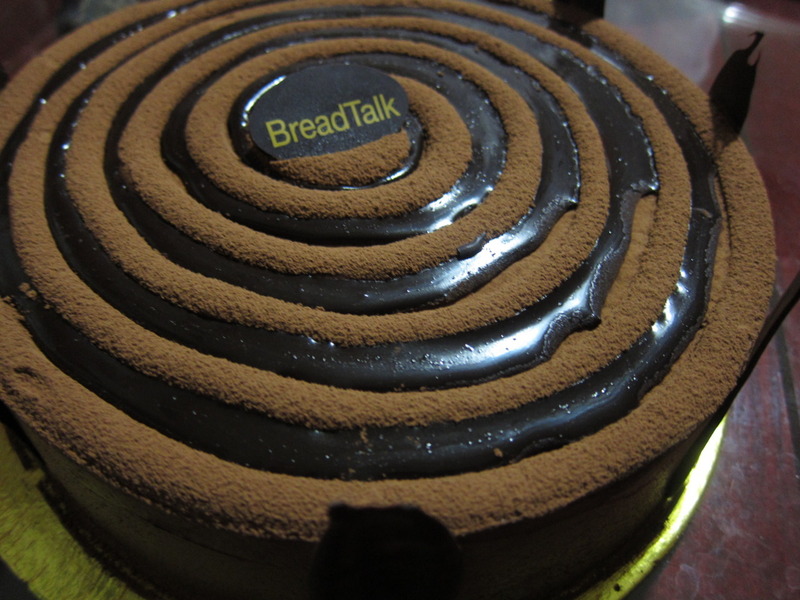 My Breadtalk cake flavor is Mocha, btw. What's yours?